Amazing stone with its chocolate brown accented with rich dark brown spots. 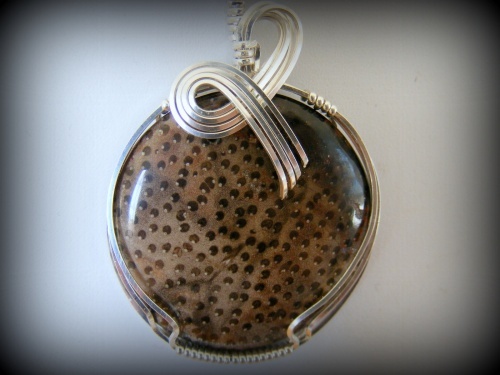 Unique and one of a kind this stone is wrapped in dripping sterling silver frame and curls. Measures 2" from top of bail to bottom of piece and 1 1/4" across. Comes with a sterling silver snake chain.